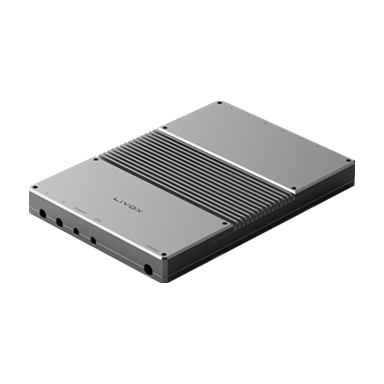 You understand and agree that (i) our hardware and physical products, and the firmware contained therein (collectively, “Livox Hardware”) and (ii) our software controlling the Livox Hardware (“Livox Software”) are not considered part of the Site. 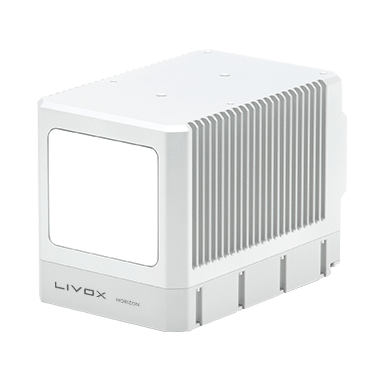 The terms and any warranties that apply to Livox Hardware and Livox Software are included with such Livox Hardware and Livox Software. These Terms provide that all disputes between you and Livox will be resolved by BINDING ARBITRATION. YOU AGREE TO GIVE UP YOUR RIGHT TO GO TO COURT to assert or defend your rights under these Terms, except for matters that may be taken to small claims court. Your rights will be determined by a NEUTRAL ARBITRATOR and NOT a judge or jury, and your claims cannot be brought as a class action. Please review Section 16 (“Dispute Resolution and Arbitration”) of these Terms for the details regarding your agreement to arbitrate any disputes with Livox. You must be at least 13 years of age to access the Site. By agreeing to these Terms, you represent and warrant to us that: (a) you are at least 13 years of age; (b) you have not previously been suspended or removed from the Site; and (c) your access to the Site is in compliance with all applicable laws and regulations. If you are accessing the Site on behalf of an entity, organization, or company, you represent and warrant that you have the authority to bind that organization to these Terms and you agree to be bound by these Terms on behalf of that organization. To access certain features of the Site, you may be required register for a Livox account. When you register for a Livox account, you will be required to provide us with some information about yourself, such as your email address or other contact information. You represent and warrant that the information you provide to us is accurate and that you will keep it accurate and up-to-date at all times. When you register, you will be asked to provide a password. You are solely responsible for maintaining the confidentiality of your Livox account and password, and you accept responsibility for all activities that occur under your Livox account. By using the Site, and by entering into these Terms, you represent and warrant that your use of the Site complies and will comply with all applicable laws, statutes, and regulations, and that you will not use the Site except as expressly permitted under these Terms. For users located in China, you agree to comply with the “People’s Republic of China on Guarding State Secrets Law,” “Copyright Law of People’s Republic of China,” “Regulations on Protection of Computer Information System Security People's Republic of China,” “Regulations on Computer Software Protection,” “Internet Electronic Bulletin Site Management Requirements,” “Information Network Transmission Right Protection Ordinance” and other applicable laws and regulations, the implementation approach. Livox reserves the right to review, remove, or disable access to User Content in violation of the applicable laws and regulations in China. Livox also welcomes users to report any User Content that is in violation of applicable laws or regulations. 5.14 Attempt to do any of the acts described in this Section 5 or assist or permit any person in engaging in any of the acts described in this Section 5. 7.2 Additional Terms1.1 Your access to the Site is subject to all additional terms, policies, rules, or guidelines applicable to the Site (the “Additional Terms”). All Additional Terms are incorporated by this reference into and made a part of these Terms. The Site is owned and operated by Livox.  The visual interfaces, graphics, design, compilation, information, data, computer code (including source code or object code), products, software, services, and all other elements of the Site (“Materials”) provided by Livox are protected by intellectual property and other laws. All Materials contained in the Site are the property of Livox and its third-party licensors. Except as expressly authorized by Livox, you may not make use of the Materials. Livox reserves all rights to the Materials not granted expressly in these Terms. If you choose to provide input or suggestions regarding problems with, or proposed modifications or improvements to, the Site or any of the services or products made available by Livox (“Feedback”), then you hereby grant Livox an unrestricted, perpetual, irrevocable, non-exclusive, fully-paid, royalty-free right to exploit such Feedback in any manner and for any purpose with no duty to make any payments to you for such exploitation. You are responsible for your access to the Site. You will defend and indemnify Livox and its officers, directors, employees, consultants, affiliates, subsidiaries and agents (together, the “Livox Entities”) from and against every claim, liability, damage, loss, and expense, including reasonable attorneys' fees and costs, arising out of or in any way connected with: (a) your access to, use of, or alleged use of, the Site; (b) your violation of any portion of these Terms, any representation, warranty, or agreement referenced in these Terms, or any applicable law or regulation; (c) your violation of any third-party right, including any intellectual property right or publicity, confidentiality, other property, or privacy, right; or (d) any dispute or issue between you and any third party. We reserve the right, at our own expense, to assume the exclusive defense and control of any matter otherwise subject to indemnification by you (without limiting your indemnification obligations with respect to that matter), and in that case, you agree to cooperate with our defense of that claim. 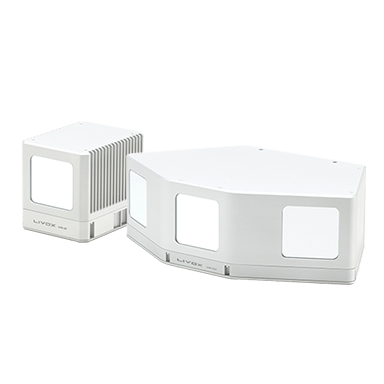 THE SITE, AND ALL MATERIALS AND USER CONTENT AVAILABLE THROUGH THE SITE, ARE PROVIDED “AS IS” AND ON AN “AS AVAILABLE” BASIS, WITHOUT WARRANTY OR CONDITION OF ANY KIND, EITHER EXPRESS OR IMPLIED. THE LIVOX ENTITIES DISCLAIM ALL WARRANTIES OF ANY KIND, WHETHER EXPRESS OR IMPLIED, RELATING TO THE SITE, AND ALL MATERIALS AND USER CONTENT AVAILABLE THROUGH THE SITE, INCLUDING: (A) ANY IMPLIED WARRANTY OF MERCHANTABILITY, FITNESS FOR A PARTICULAR PURPOSE, TITLE, QUIET ENJOYMENT, OR NON-INFRINGEMENT; AND (B) ANY WARRANTY ARISING OUT OF COURSE OF DEALING, USAGE, OR TRADE. THE LIVOX ENTITIES DO NOT WARRANT THAT THE SITE OR ANY PORTION OF THE SITE, OR ANY MATERIALS OR USER CONTENT OFFERED THROUGH THE SITE, WILL BE UNINTERRUPTED, SECURE, OR FREE OF ERRORS, VIRUSES, OR OTHER HARMFUL COMPONENTS, AND DO NOT WARRANT THAT ANY OF THOSE ISSUES WILL BE CORRECTED. NO ADVICE OR INFORMATION, WHETHER ORAL OR WRITTEN, OBTAINED BY YOU FROM THE SITE, OR ANY MATERIALS OR USER CONTENT AVAILABLE THROUGH THE SITE, WILL CREATE ANY WARRANTY REGARDING ANY OF THE LIVOX ENTITIES OR THE SITE THAT IS NOT EXPRESSLY STATED IN THESE TERMS. YOU ASSUME ALL RISK FOR ANY DAMAGE THAT MAY RESULT FROM YOUR USE OF OR ACCESS TO THE SITE, AND ANY MATERIALS OR USER CONTENT AVAILABLE THROUGH THE SITE. YOU UNDERSTAND AND AGREE THAT YOU USE THE SITE AT YOUR OWN DISCRETION AND RISK, AND THAT YOU ARE SOLELY RESPONSIBLE FOR ANY PERSONAL INJURY, DEATH, DAMAGE TO YOUR PROPERTY OR THIRD PARTY PROPERTY, OR THE LOSS OF DATA THAT RESULTS FROM YOUR USE OF OR INABILITY TO USE THE SITE. NOTWITHSTANDING THE FOREGOING, LIVOX DOES NOT DISCLAIM ANY WARRANTY OR OTHER RIGHT THAT LIVOX IS PROHIBITED FROM DISCLAIMING UNDER APPLICABLE LAW. IN NO EVENT WILL THE LIVOX ENTITIES BE LIABLE TO YOU FOR ANY INDIRECT, INCIDENTAL, SPECIAL, CONSEQUENTIAL OR PUNITIVE DAMAGES (INCLUDING DAMAGES FOR LOSS OF PROFITS, GOODWILL, OR ANY OTHER INTANGIBLE LOSS) ARISING OUT OF OR RELATING TO YOUR ACCESS TO OR USE OF, OR YOUR INABILITY TO ACCESS OR USE, THE SITE, OR ANY MATERIALS, OR USER CONTENT AVAILABLE THROUGH THE SITE, WHETHER BASED ON WARRANTY, CONTRACT, TORT (INCLUDING NEGLIGENCE), STATUTE, OR ANY OTHER LEGAL THEORY, AND WHETHER OR NOT ANY LIVOX ENTITY HAS BEEN INFORMED OF THE POSSIBILITY OF DAMAGE. EXCEPT AS PROVIDED IN SECTION 16.4(iii), THE AGGREGATE LIABILITY OF THE LIVOX ENTITIES TO YOU FOR ALL CLAIMS ARISING OUT OF OR RELATING TO THE USE OF OR ANY INABILITY TO USE ANY PORTION OF THE SITE OR OTHERWISE UNDER THESE TERMS, WHETHER IN CONTRACT, TORT, OR OTHERWISE, IS LIMITED TO $100. These Terms are governed by the laws of the State of California without regard to conflict of law principles. If a lawsuit or court proceeding is permitted under these Terms, then you and Livox agree to submit to the personal and exclusive jurisdiction of the state courts and federal courts located within San Francisco County, California for the purpose of litigating any dispute. We make no representation that the Site or any Materials included in the Site are appropriate or available for use in your location. 16.1 Generally In the interest of resolving disputes between you and Livox in the most expedient and cost effective manner, you and Livox agree that every dispute arising in connection with these Terms will be resolved by binding arbitration. Arbitration is less formal than a lawsuit in court. Arbitration uses a neutral arbitrator instead of a judge or jury, may allow for more limited discovery than in court, and can be subject to very limited review by courts. Arbitrators can award the same damages and relief that a court can award. This agreement to arbitrate disputes includes all claims arising out of or relating to any aspect of these Terms, whether based in contract, tort, statute, fraud, misrepresentation, or any other legal theory, and regardless of whether a claim arises during or after the termination of these Terms. YOU UNDERSTAND AND AGREE THAT, BY ENTERING INTO THESE TERMS, YOU AND LIVOX ARE EACH WAIVING THE RIGHT TO A TRIAL BY JURY OR TO PARTICIPATE IN A CLASS ACTION. 16.2 Exceptions Despite the provisions of Section 16.1, nothing in these Terms will be deemed to waive, preclude, or otherwise limit the right of either party to: (a) bring an individual action in small claims court; (b) pursue an enforcement action through the applicable federal, state, or local agency if that action is available; (c) seek injunctive relief in a court of law; or (d) to file suit in a court of law to address an intellectual property infringement claim. 16.3 Arbitrator Any arbitration between you and Livox will be settled under the Federal Arbitration Act, and governed by the Commercial Dispute Resolution Procedures and the Supplementary Procedures for Consumer Related Disputes (collectively, “AAA Rules”) of the American Arbitration Association (“AAA”), as modified by these Terms, and will be administered by the AAA. The AAA Rules and filing forms are available online at www.adr.org. 16.4 Notice; Process A party who intends to seek arbitration must first send a written notice of the dispute to the other party by certified U.S. Mail or by Federal Express (signature required) or, only if such other party has not provided a current physical address, then by electronic mail (“Notice”). Livox’s address for Notice is: 40th Floor, Sunlight Tower, 248 Queen's Road East, Wanchai, Hong Kong. The Notice must: (a) describe the nature and basis of the claim or dispute; and (b) set forth the specific relief sought (“Demand”). The parties will make good faith efforts to resolve the claim directly, but if the parties do not reach an agreement to do so within 30 days after the Notice is received, you or Livox may commence an arbitration proceeding. During the arbitration, the amount of any settlement offer made by you or Livox must not be disclosed to the arbitrator until after the arbitrator makes a final decision and award, if any. If the dispute is finally resolved through arbitration in your favor, Livox will pay you the highest of the following: (i) the amount awarded by the arbitrator, if any; (ii) the last written settlement amount offered by Livox in settlement of the dispute prior to the arbitrator’s award; or (iii) $1,000. 16.5 Fees If you commence arbitration in accordance with these Terms, Livox will reimburse you for your payment of the filing fee, unless your claim is for more than $10,000, in which case the payment of any fees will be decided by the AAA Rules. Any arbitration hearing will take place at a location to be agreed upon in San Francisco County, California, but if the claim is for $10,000 or less, you may choose whether the arbitration will be conducted: (a) solely on the basis of documents submitted to the arbitrator; (b) through a non-appearance based telephone hearing; or (c) by an in-person hearing as established by the AAA Rules in the county (or parish) of your billing address. If the arbitrator finds that either the substance of your claim or the relief sought in the Demand is frivolous or brought for an improper purpose (as measured by the standards set forth in Federal Rule of Civil Procedure 11(b)), then the payment of all fees will be governed by the AAA Rules. In that case, you agree to reimburse Livox for all monies previously disbursed by it that are otherwise your obligation to pay under the AAA Rules. Regardless of the manner in which the arbitration is conducted, the arbitrator must issue a reasoned written decision sufficient to explain the essential findings and conclusions on which the decision and award, if any, are based. The arbitrator may make rulings and resolve disputes as to the payment and reimbursement of fees or expenses at any time during the proceeding and upon request from either party made within 14 days of the arbitrator’s ruling on the merits. 16.6 No Class Actions YOU AND LIVOX AGREE THAT EACH MAY BRING CLAIMS AGAINST THE OTHER ONLY IN YOUR OR ITS INDIVIDUAL CAPACITY AND NOT AS A PLAINTIFF OR CLASS MEMBER IN ANY PURPORTED CLASS OR REPRESENTATIVE PROCEEDING. Further, unless both you and Livox agree otherwise, the arbitrator may not consolidate more than one person’s claims, and may not otherwise preside over any form of a representative or class proceeding. 16.7 Modifications of This Arbitration Provision If Livox makes any future change to this arbitration provision, other than a change to Livox's address for Notice, you may reject the change by sending us written notice within 30 days of the change to Livox’s address for Notice, in which case your account with Livox will be immediately terminated and this arbitration provision, as in effect immediately prior to the changes you rejected will survive. 16.8 Enforceability If Section 16.6 is found to be unenforceable or if the entirety of this Section 16 is found to be unenforceable, then the entirety of this Section 16 (other than, in the latter case, Section 16.6) will be null and void and, in that case, the parties agree that the exclusive jurisdiction and venue described in Section 14 will govern any action arising out of or related to these Terms. The Site is offered by Livox Technology Company Limited and its affiliated companies, located at 40th Floor, Sunlight Tower, 248 Queen's Road East, Wanchai, Hong Kong. 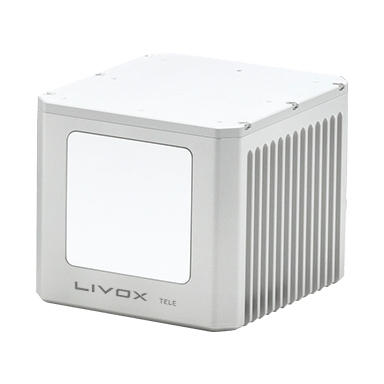 You may contact us by sending correspondence to that address or by emailing us via sales@livoxtech.com.